Don and I had our holiday tangle event at Artist and Display last night (Monday). There were not as many as we expected but that was OK. They were given a bell, a snowman, and a stocking, each on a 5 x 5 card. After they learned 4 or 5 tangles and placed them on these cards, we gave them an angel on a card, stamped the inside of the card with an appropriate message. They took these home and hopefully are tangling them right at this very moment. We also gave them an octohedron to take home to tangle and assemble as well as a 3 dimensional star. Christmas is coming and I will see both of my children and their families. Gretchen, Frank, Chas, Grace, and Clay are coming from the UK a week before Christmas; then after Christmas we will all go to NYC to see Paul, Teddy, Miles, and Isaiah. Yesterday I made Nieman Marcus cookies (and no they are not really from Nieman Marcus . . . snopes nixed that) but they are very good. Actually, I don't know if they are good; I have been a good girl and have not sampled any of them. They are in the freezer. This morning it is Peanut Brittle. It'll be hard not to sample these. Soon this will go into the freezer too. I am so excited about being able to see Paul's family and Gretchen's family and to see them all together makes it very special to us. Today is Wonderful Wednesday. Yesterday a Facebook friend, Margaret, posted this video that I want to share with you. This is a video about gratitude and I share it with you today, the day before Thanksgiving. Please enjoy! I was quite prolific yesterday. In my repertoire yesterday were five tiles and the letter "B." The difficult thing about drawing on the letter is that it is three dimensional. The sides can be difficult to do. Today I will finish the letter "J." Trying some new tangles that I have never done before is on the agenda these days. Sandy Bartholomew (I think it was Sandy) said that she was going to go through tanglepatterns.com, starting with the letter "A" and tangle each one. I wonder how long that would take. Linda has so many tangles in there. Oops! It looks like one of those cookies I tangled slipped into that picture. I came across Jerry Douglas a few months ago while listening to Allison Krause. He is playing what is called a dobro. Tangles go on absolutely everything. Right? Maybe . . . . maybe not. I think I better stick with a pen. Today I baked some sugar cookies and appropriately cut them into 3 1/2 inch squares, frosted them with white frosting, and then with my black (who ever heard of that) icing, proceeded to tangle on them. Well, you need so much control with the tube of icing it is nearly impossible to do it well. Then I also failed to realize that to do some of the tangles one would have to use so much icing that it would be just too too sweet. It reminded of the time I had some boys at my son's birthday party decorate their own pieces of cake. They had a good time but I would guess they might have been pretty sick by the time these boys were returned to their parents. I had never seen so much frosting in all my life. 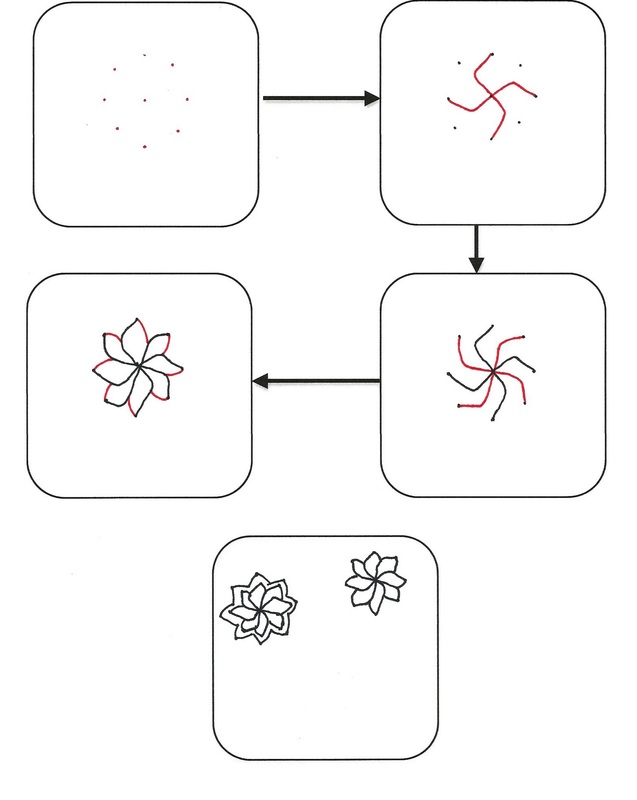 Rick's Paradox - didn't turn out too badly but I had to limit the number of lines I used and placed them quite far apart. Cadent - My lazy S's ended up going the opposite way I usually do it under ordinary circumstances (that is, with a pen). I have tangled shoes, sweatshirts, fabric, balloons, my driveway, a map of the United States, my arm, and anything else that has an empty space on it. I think I better stick with any of those things . . . . NOT cookies. The thought was good. Maybe I just need practice . . . but that's not gonna happen. OMG! Last night was soooo fun! It was our Drink and Draw at Vino Etcetera. There were seven people there along with Corrine, Don and I. Corrine gave them samples of 6 wines during the evening, just small samples not a glass full. Then Don or I would teach a tangle, then another sampling of wine, another tangle, and so on through the evening. It, of course was not a regular class but it sure was FUN! We must have gone through 6 tangles during the event. Don had decided to wear his tails so I also decided to dress "quasi" elegant. We also had worked out a few things to interject into the "class" occasionally. We are not really comedians but last night I guess we resembled comedians a little bit. Many years ago each of us had done some clown work so I guess it came quite easily to us. Funny thing about the clown work . . . Don had done some and I had done some also but neither of us knew the other was clowning. I have added some pictures here . . . probably more to come later . . . Corrine has some that she will send me. I decided my Wednesday would be wondering or wandering or a little of both. Sometimes my mind wanders to new places and then I wonder about them. So I will be a bit all over the place on Wednesdays. 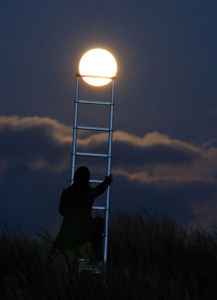 Today mind is wandering towards tonight. Don and I have a Drink and Draw at Vino Etcetera. This is something we have never done before. They will have a wine tasting and we will do our drawing thing. Corrine will introduce a wine then Don and I will introduce Zentangles and a pattern; then another taste of wine . . another pattern and so on. We plan to make it a lot of fun and have some one liners that we are going to add. We play off from one another pretty well so hopefully that will make for a nice evening. Vino Etcetera is new wine bar in town and is very nice, elegant Italian style. So Don decide he is going to wear his tails; so I guess I will wear something quasi elegant too. Hopefully, I will have some pictures to upload tomorrow or the next day. A little nervous about it and excited too. Now I will introduce you to my CZT partner, Don. I guess this was a wondering post. 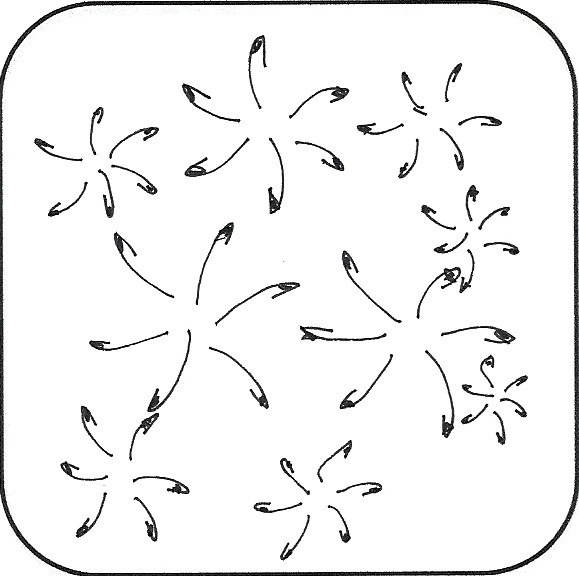 At the Zentangle® seminar in Providence Rick talked a few times about the Fibonacci sequence, the Golden Curve, all of those things associated with Fibonacci (he was really Leonardo of Pisa). For a year now I have been fascinated by the work the Fibonacci did. You can find so much about it on the internet and wonderful pictures of the Golden Curve in nature, in science, in art, and even in music. 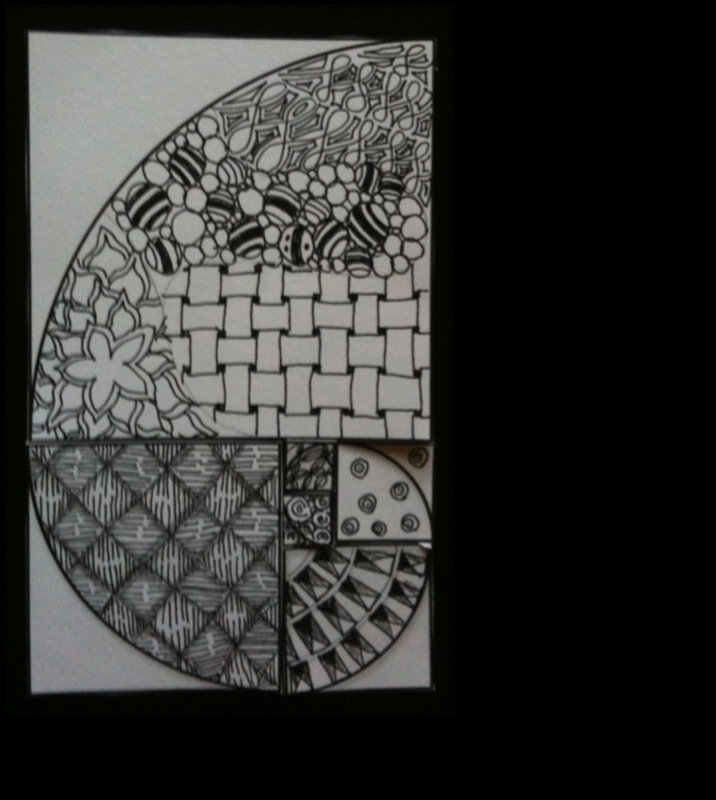 For a bit of time now I have been trying to connect Fibonacci with Zentangles. 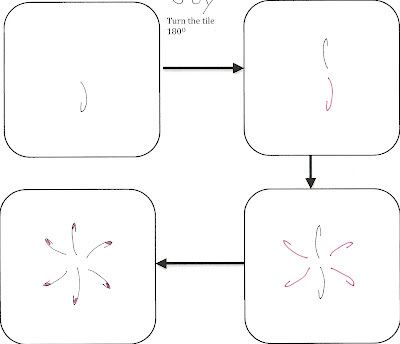 I had the idea to design a pattern with the golden curve but decided this would not be a good thing for a tangle. The Fibonacci curve is too calculated and in tangling most things are free hand. However, I did two things, actually three things. 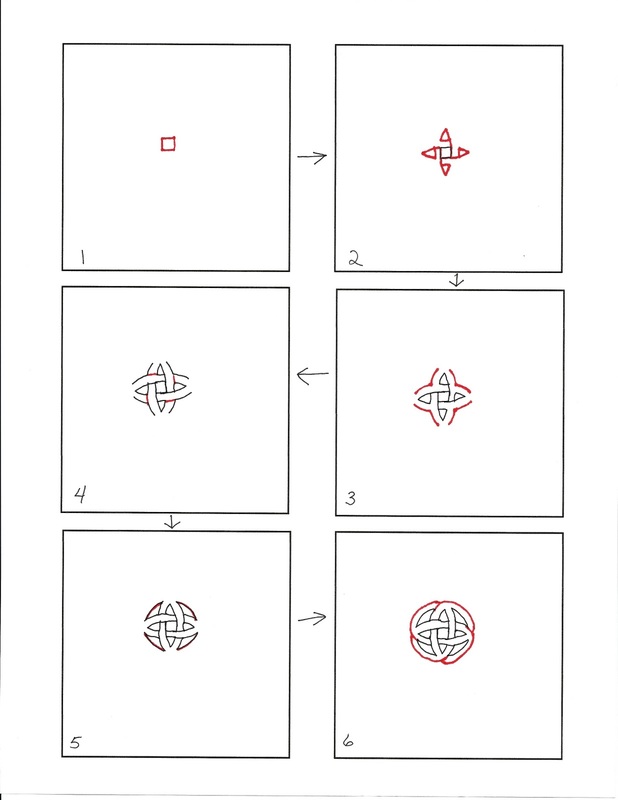 Number one, I design a golden curve on the computer and printed it up onto 3 and 1/2 in squares and then tangled it. Number two . . . 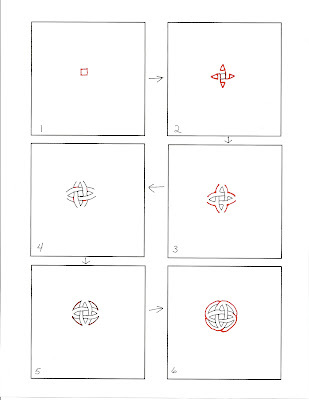 I used calculations on the computer to design square that would replicate the golden curve, tangled on each of those squares and then pasted them on a background in the shape of the golden curve. Number three . . . one must first understand what the Fibonacci Sequence is. Very briefly, it is a series of number that follow a sequence, namely 1...1....2....3....5.....8....13.....21....34.....55.... and so on. An easy to understand form of the equation would be: Fn = Fn-1 + Fn-2 The third thing I did was to write a Fib. A fib is a poem using this pattern: line 1 has 1 syllable; line 2 has 1 syllable; line 3 has 2 syllables; line 4 has 3 syllables; line 5 has 5 syllables; line 6 has 8 syllables. This is my Fib. Here are the Fibonacci tiles. 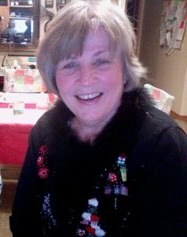 I am taking a lead from my friend, Sharon, and posting music to my blog. This is Secret Garden, a group from Norway and Ireland. I first heard them 10 years ago and since have purchased a few of their CDs. In fact, I think I will have Mondays be Music Monday on my blog. 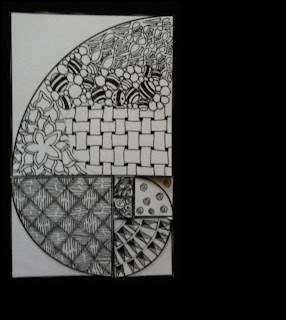 Yesterday on 11.11.11 some of us created a zentangle as a meditation on a very unique day. Many of us also dedicated this to the memory of Rick's mother, who passed away a week ago. It is always very rewarding to see what others have done with the same idea. I had a haircut yesterday and was finished with it at 11:00. I wanted to start my creation right at 11:11 so that was going to be a problem because it is a 15 minute drive home. The church where I am music director is only a 10 minute drive from Anton's so I stopped there and sat in the sanctuary and created my zentangle there. 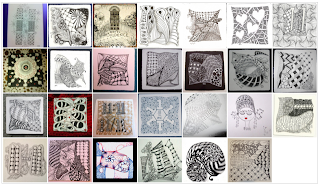 Here is a mosaic of all the zentangles submitted. Jane Marbaix (CZT6) of the UK suggested that we each tangle on November 11, 2011 (11/11/11). It is such a unique date, as 12/12/12 will be next year. What a wonderful idea! 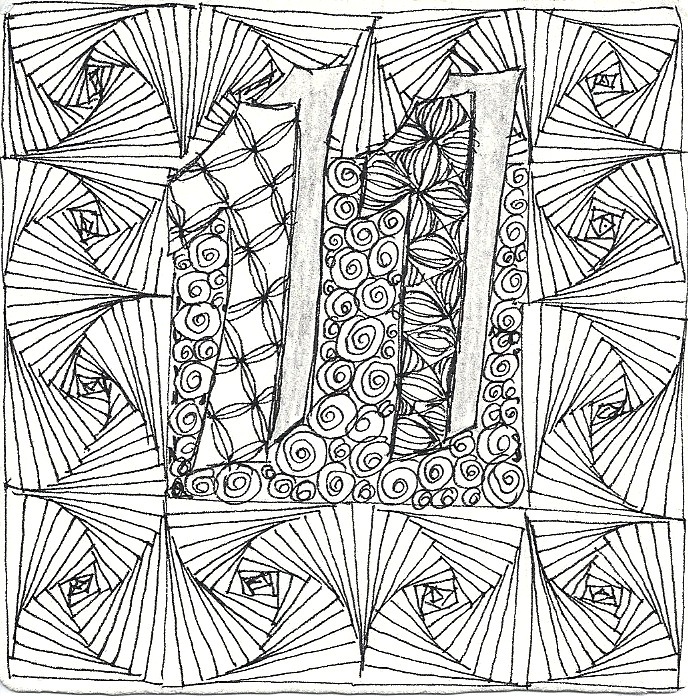 I began tangling at 11:11 on 11/11/11 and had as my intention Rick and his family as an affirmation of his mother's life. Because of this intention, I used Rick's Paradox which surrounds the number 11. 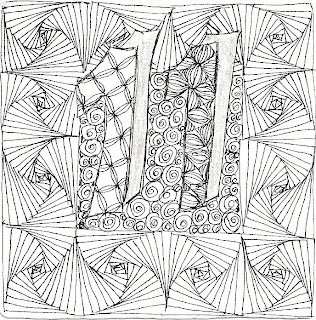 I hope there is a good turnout of 11/11/11 zentangles. It would be fun to see a mosaic of all the tiles made on this day. Today I received an email from FinerMinds recommending this link. I work much better with goals but sometimes I have too many goals in my head. Perhaps I should slow down a bit in order to stay on task. A year ago Don needed to make a Zentangle® presentation during worship at his church so we made the following video for that particular Sunday using some of his favorite tiles. It was a lot of fun to make this video and we have enjoyed the outcome. To view it, you will need Quicktime (a free installation) on your computer. A year ago after showing my neighbor, Barb, how to tangle, I was kind of playing around with some ideas while she was tangling. She looked at it, said she liked it and called it Joy. So . . . . this is Joy. It is reminiscent of Ahh! 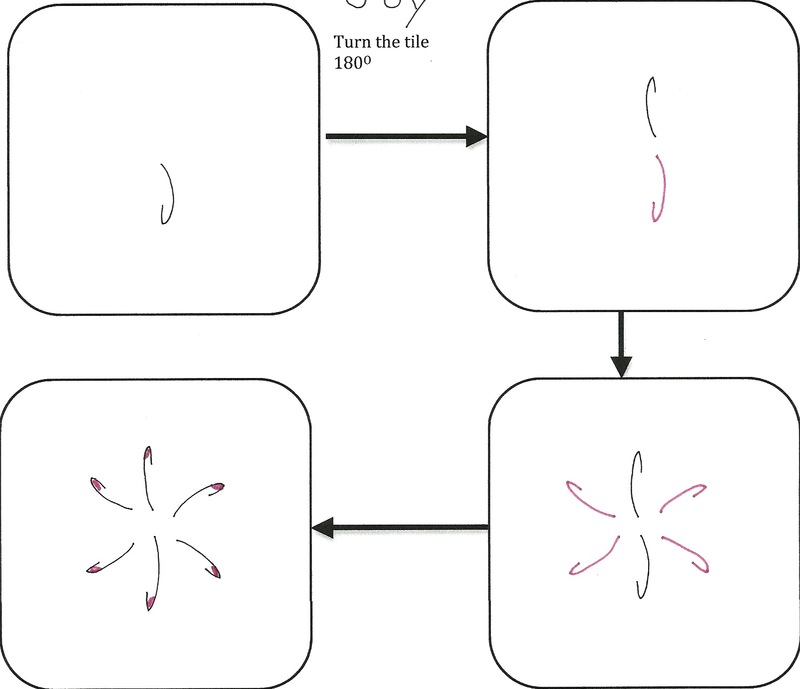 Joy is also indicative of what tangling has done for me since I retired from teaching. I always enjoyed teaching so much and was fearful of my retirement. 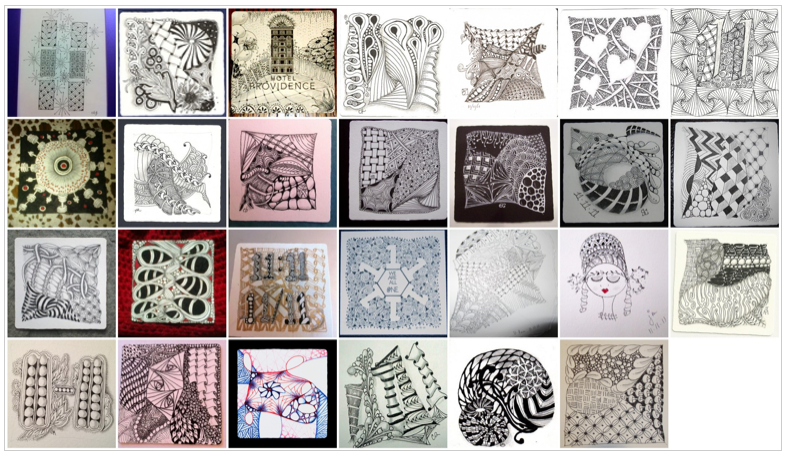 Rick and Maria's Zentangle art form has really brought much joy to my life. Thanks to them and thanks also to Don McCollum (CZT3) for introducing it to me. 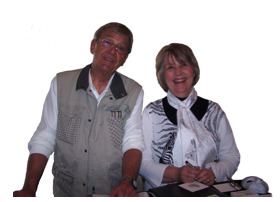 On Saturday, Don and I gave a demo at Artist and Display in Milwaukee. At these demos we usually teach a tangle, perhaps two, in hopes that people will then sign up for the next class that we have scheduled. Our next class will move away from our normal classes a bit. 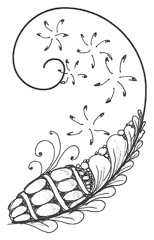 We will use color (first time for us) and we will have a Holiday theme. For the demo on Saturday we used a bell and taught them Bales . . . just the basic Bales . . . no embellishments. When they finished we told them to use their own creativity to enhance it a bit. These two pictures are what a few of them came up with. We found that they all became very creative. We must have seen over 50 people during the time we were there. It was great fun! Look for more picture from the Holiday class at the end of November. We have a demo this Saturday at Artist and Display in Milwaukee. Hopefully, through this demo we will encourage people to come to our ZIA Christmas with Color class at the end of November. 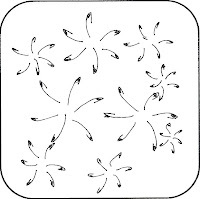 We will be doing larger than the regular zentangle tiles; the string will be the shape of a bell, Christmas tree, stocking, things like that. Don and I have not done much with color before so this will be new for us but we are excited about it. Tune in and we'll see what happens. 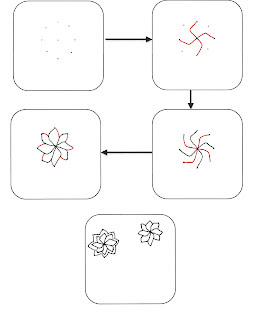 Don McCollum (CZT3) and I (CZT7) have been teaching Zentnagle classes for about a year now. I was helping him with the classes but now that I am also certified (as of October 13) I am now a co-teacher. We have lots of classes scheduled for the end of October through the end of November, some new things that we have not done before. It should be exciting! Saturday evening of last week our storyteller's group, Lake Country Storytellers, gave a "concert" of Spooky Stories at Hartland Library. A varied group was in the audience . . . both young, middle aged, and "mature" folks were there. Because I am a new storyteller, it was one of the first experiences I have had "telling" a story. The story I told was "The Golden Arm." I think I can really get into this. There were 7 tellers there and most were more experienced that I am but it was a lot of fun. I just fear that I will forget part of the story at the end. One of the most exciting things I have done is skydiving. This past July on my birthday I went skydiving for the first time. Such joy!!! I can say there was never a moment when I was frightened. We were in a freefall for about 50 seconds and then 5 minutes with the parachute. I anticipated the freefall to be a bit scary but it wasn't at all. Rick, my instructor and tandem partner, after unloading the parachute, told me to hold the straps for the parachute because he had to adjust my straps. My first thought was "Why didn't you adjust them right the first time when we were on the ground?" LOL Then I discovered he adjusted the leg straps to help my legs go forward for the landing. It was great fun! I'll do it again next year on my birthday. I set this blog up 5 or 6 months ago and have done nothing with it. IT IS TIME! 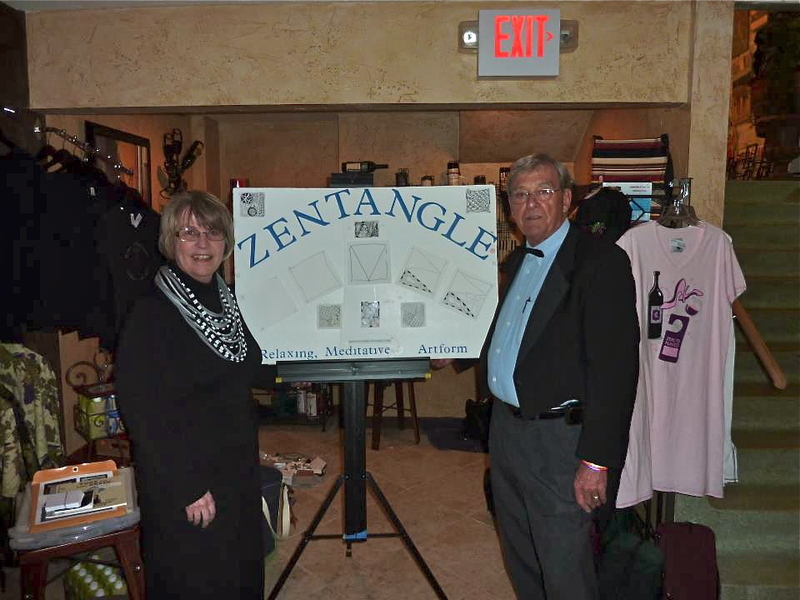 Don McCollum (CZT3) and I have been teaching Zentangle® classes for a year now; often people will ask us for our webstie. IT IS TIME! So . . . . . here goes.